“It’s so serene here. 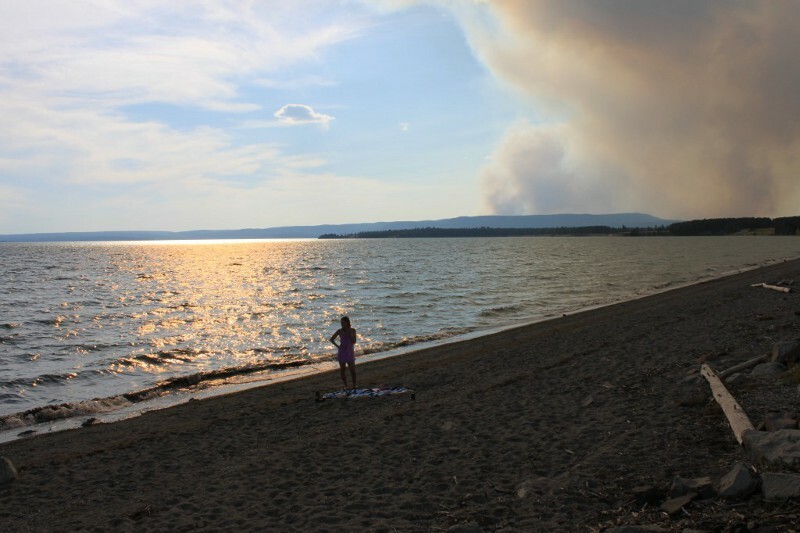 I’m having a hard time believing you’e right, Craig.” Geologist Joanne Palmer looked out over Yellowstone Lake from Mary Bay, which was thought to have been created sometime in the last 14,000 years by a Hydrothermal explosion. It was a favorite spot for Park tourists and reminded her of family vacations with Mom and Dad. Location of the Yellowstone Hotspot. Numbers indicate the time of the eruption, in millions of years ago – Found at Wikipedia. I wrote this for the What Pegman Saw writing challenge. The idea is to use a Google maps image and/or location as the inspiration for creating a piece of flash fiction no more than 150 words long. My word count is 150. Today, the Pegman takes us to Yellowstone National Park. I live in southwestern Idaho which isn’t all that far from Yellowstone, but I remember it mainly from all the vacations my family took there when I was young. It’s fabulous place with lots of interesting features. Of course, the idea of having a supervolcano in your own backyard is a fun idea, but I discovered that hydrothermal explosions are also a thing, so I decided to create a mini-disaster story based on them. I also found a map tracking the Yellowstone “hot spot” over the last 16 million years and saw that it “traveled” all across southern Idaho. What if it all went up along that track at once? This wonderfully captures the looming catastrophe. Every time I hear about a cluster of earthquakes out there, or come across some article about how the ground is swelling from the magma chamber, I wonder just how close we are to such a disaster. It could be 60,000 more years. Or, it could be tomorrow. Here’s to hoping it’s 60,000 years! I don’t think the next big disaster coming out of Yellowstone is imminent. That’s the stuff of disaster movies. However, it is “fun” to think about from the security of it (most likely) being 60,000 years away. The earth indeed an organism. Our tiny human lifespan is out of sync with the immense scope of geologic time. Sooner or later it will happen again. It’s good to remember. Indeed. This one will make Mount St. Helens look like a firecracker. Good research, James. Taking news of Armageddon to America is not a job I’d fancy; rather than believe the messenger they’ll shoot them. People would probably think it was “fake news,” but by the time conventional methods confirmed the prediction it might be too late. Mother Earth is just biding her time. I’m waiting for the Cascadia earthquake along the Washington Coast. Well, not exactly waiting for it…. Hopefully, someone will warn us, but then what shall we do? To the best of my knowledge, no one has learned how to predict earthquakes. I’ve lived in both the SF Bay Area and Southern California and I’ve been through my share of them. 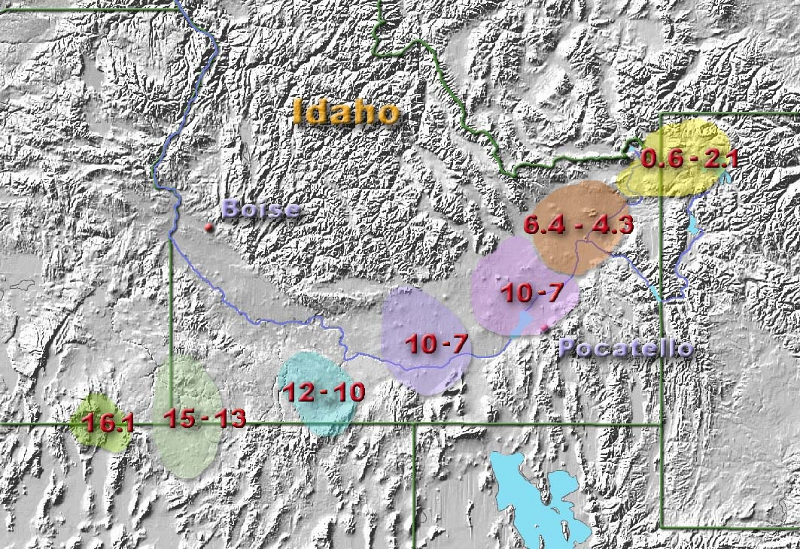 Technically, Idaho can get earthquakes, but the last really bad one was in the eastern part of the state in 1971. They’re really rare here so unless Yellowstone blows its top, I feel fairly save. I used to tell my students every year about Yellowstone Volcano. We would watch “Super Volcano” and discuss it. The students were absolutely not afraid as Indiana was out of the main problem area until I reminded them that California was in it and their video games, mostly, came from there. This actually scared them! Hah! Enlightened self interest at work. Yes, sometimes, it amazed me to no end. There is definitely a sense of doom here. Well done, James. Great writing and researched brilliantly. Yellowstone Volcano Eruption would be a national, nearly world-wide cataclysmic event. What a story! Hope it gets put off at least a few hundred years. Nice one! I was tempted to write a looming disaster story too but didn’t in the end. It’s quite something knowing there’s such an area sitting in the heart of America. Wondered where you might go, James. Your characters are so calm, so collected as they explain everything to one another so the reader understands all the exposition. I prefer to think of them as “professional,” Kelvin. Thanks.